The European Court of Human Rights (ECHR) is beginning deliberation of a Ukrainian ex-Prime Minister’s complaint over pre-trial detention. Two famous legal teams are ready to square off in the case, including Watergate attorney Gregory Craig. ­The hearing in Strasbourg has begun at 12:30 GMT Tuesday. Tymoshenko’s application was filed with the ECHR last August. She claimed that conditions in the Kiev pre-trial detention center were poor during her four-month stay, and that no medical care was provided to treat her various health problems. Tymoshenko also accused the authorities of putting her under round-the-clock observation during a post-sentencing hospital stay. The ex-PM’s defense is citing four articles of the European Human Rights Convention in their case: On unlawful detention and arrest, on abuse, on the right of privacy, and political motivations behind the arrest and detention. The ECHR has started deliberating in private on her case after the hearing and will announce the ruling later, according to a report posted on the court’s website. 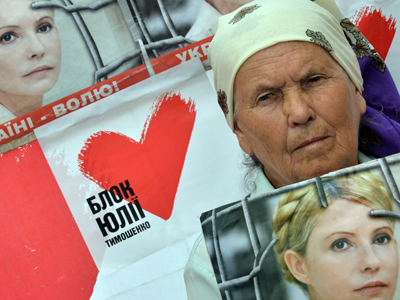 Tymoshenko’s lawyers say the court may render a verdict within the next two months. Tymoshenko is being defended by one of the most prominent attorneys in the Ukraine. Valentina Telichenko participated in the case of former Ukrainian president Leonid Kuchma, who was accused of being involved in the killing of journalist Georgy Gongadze. Telichenko defended his widow in court. Ukrainian authorities are being represented by Scadden, one of the most popular law companies in the US. Scadden head Gregory Craig will personally take part in the case. Craig was an attorney for former UN Secretary-General Kofi Annan, for Russian writer Aleksandr Solzhenitsyn, and for the Washington Post newspaper during the Watergate scandal, which led to the resignation of US president Richard Nixon. The ECHR hearing comes ahead of the ruling on Tymoshenko’s appeal, set to be issued by a Ukrainian Supreme Specialized Court on Wednesday. The ex-Prime Minister was sentenced last October for abusing her office – in particular, for signing a 2009 gas deal with Russia. She is currently serving a seven-year term in jail and has been fined with more than $190 million in damages. Her cassation appeal was heard on August 21, marking a last-ditch attempt by the defense to protest the sentence. Tymoshenko was not present due to treatment for back problems she has been undergoing since May. The attempt came after the Ukrainian Court of Appeals upheld the verdict last December. If the appeal is not granted, Tymoshenko will take the case to the ECHR. Tymoshenko was also recently charged with tax evasion and embezzlement, with a hearing on the charges set to take place on September 11. 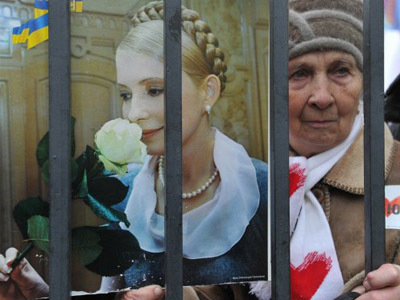 Relations between Ukraine and the European Union have been strained over the Tymoshenko case. The EU argues that the charges are politically motivated, and protested the sentencing by canceling agreements on free trade and political association with the Ukraine after Tymoshenko was jailed last October. 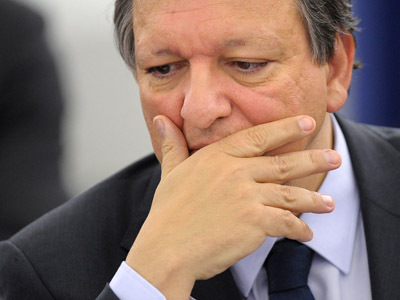 Many European leaders also boycotted the Euro 2012 football championship, co-hosted by the Ukraine. Ukrainian President Viktor Yanukovich slammed the EU’s moves, arguing that his country will not continue economic or political integration with the EU if European leaders interfere in the Tymoshenko case. Tymoshenko was Yanukovich’s main opponent in the Ukraine’s 2010 presidential elections. To go or not to go to Ukraine?